Reported cases of religious intolerance in Central Java significantly dropped in 2010 compared to 2009, according to an annual report. 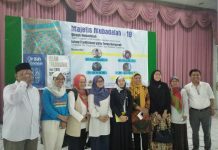 Data at the Semarang office of the Religion and Social Studies Institute (ELSA) showed that only nine cases related to religious intolerance took place in 2010 in Central Java, seven of which involved communities and the remaining two involving the state. 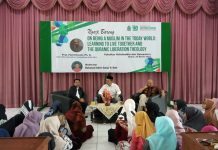 “Our data shows that religious intolerance stood at 32 cases in 2009, thus indicating a significant drop in 2010,” said ELSA director Tedi Kholiludin in an annual report on the religious climate in Central Java in 2010 on Monday. 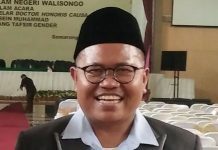 One case involving the state was the two-year sentence given to Marjono, a former lecturer at Widya Dharma University, by the Klaten District Court early this year for comments he made in a speech at the university that were considered to constitute blasphemy. 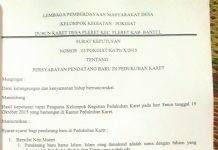 The second case was Wonogiri Regent Danar Rahmanto’s banning of three annual cultural events in the regency — jamasan, larung ageng and sedekah bumi — as part of his political contract with his constituents. “The latter is dangerous because it could lead to further state intervention if it is allowed and eventually result in defending a particular group wishing to impose its will on those of other faiths. Leaders tend to pursue political support rather than inter-religious tolerance,” he said. Religious intolerance cases taking place in the cultural arena but not involving the state also occurred in 2010, such as the removal of a Buddha statue created by Cipto Purnomo that resembled Gus Dur after the Indonesian Theravada Youths central leadership board objected to it. 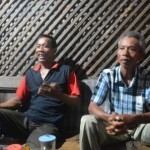 Another case was the banning of a wayang puppet performance in Sukoharjo and other areas in Surakarta by the Laskar Jihad, as it deemed it polytheistic. Another case of intolerance was the banning of religious activities and schools deemed deviant. According to Tedi, the data does not indicate that religious tolerance among the communities in Central Java has improved. 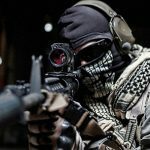 “The cases are those that came to light. It is highly likely that there are other religious communities that tend not to disclose cases to the media, government or non-governmental groups,” he said. 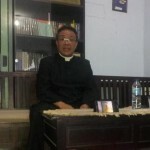 Inter-Religious Youth Network coordinator Rony Chandra Kristanto concurred, saying cases exposed by the media or government reports could not serve as a benchmark of the quality of religious tolerance in Central Java.